Debbie a life-long resident of Waukesha County and the Lake Country area has extensive knowledge of the area schools, lakes, churches and recreational activities. Debbie has been very successful in finding homes for her clients and finding buyers for their homes. Debbie's Award include: Listing and Sales Agent-April 2005. Sales Agent-October 2005. Listing Agent-December 2006. Million Dollar Month-September 2007. Sales Leader-September 2007 and November 2007. Sales Agent-January 2009. Debbie was awarded into the Leading Edge Society 2004, 2005 and 2008. Honors Society in 2006. President's Circle Silver in 2007. Relocation Award for the most outbound Referrals in 2008. Debbie's previous career was in the medical profession and the focus was always on customer satisfaction, which she has carried over to her Real Estate profession. 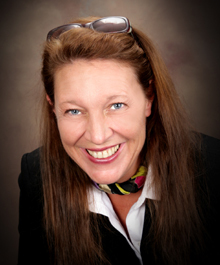 Debbie has experience in listing and selling residential properties, including single families, condo's, lake homes, vacant land, new construction, developments and investments.